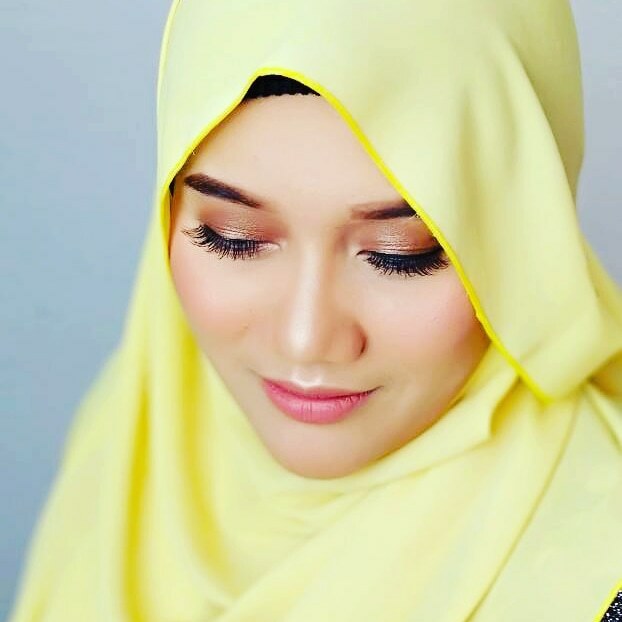 Hye there =) Thanks for visiting my blog today. I'm registered member for GSC Cinema and TGV Cinema, as a part of membership benefit i can redeem my birthday freebies on my birthday month. 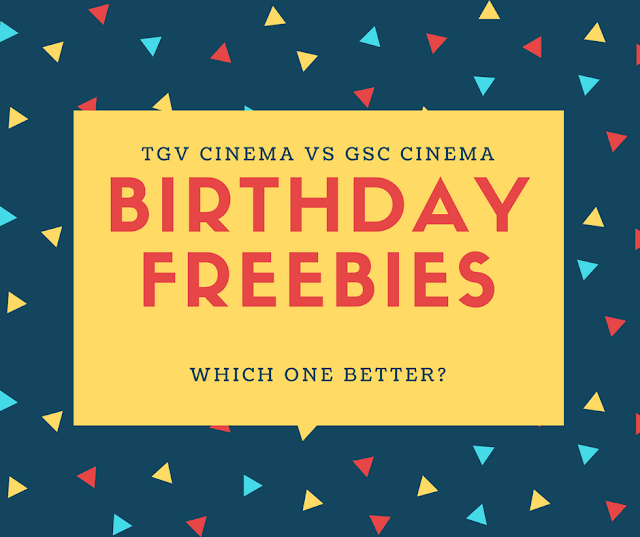 The GSC birthday gift or TGV birthday gift? 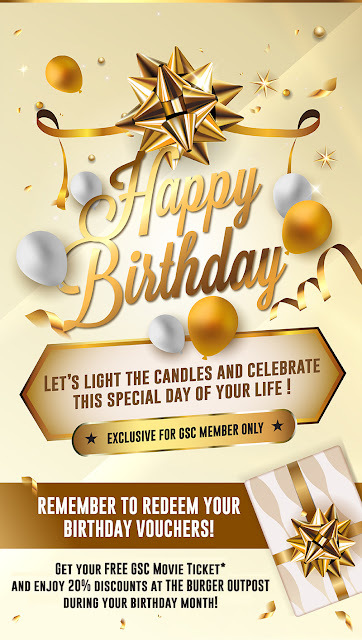 Since i already got both emails from GSC and TGV wishing me 'Happy Birthday'. 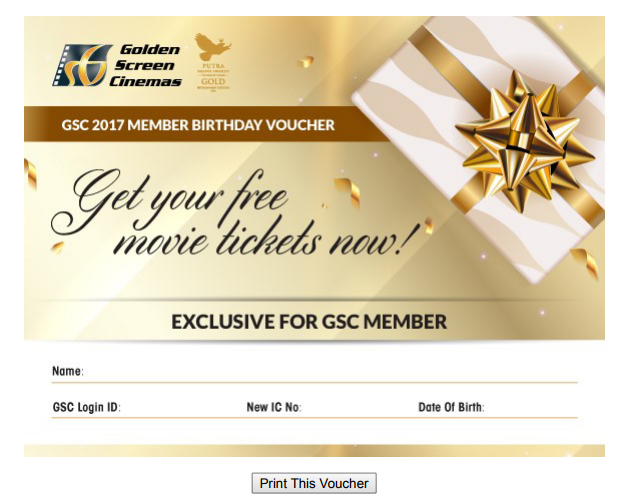 •To redeem the birthday voucher, the GSC member MUST PRINT out this voucher (color or black & white) and fill in their details. • GSC member MUST be present with the completed birthday voucher for redemption at GSC Box Office to enjoy FREE movie. • Voucher must be verified with ORIGINAL Identification Card (NRIC) by GSC staff at GSC Box Office upon redemption. • FREE movie ticket is valid in all cinemas for movies marked asterisk (*) only at all GSC cinemas nationwide (not valid in GSC Signature). • For Digital 3D movies, a RM5.50 surcharge applies PER ticket. With enhanced member service offered at TGV Cinemas, i can book my free movie ticket either online or just swipe my card at TGV Kiosk. So which one is better for me to pick? Since at Kuala Terengganu only have LFS Cinema, i have to make road-trip outside Kuala Terengganu to claim my birthday gift from either TGV and GSC. I just dont know yet. The schedule for this month is so pack, many things should be done. Don't know if i have any spare time to watch movie at cinema. 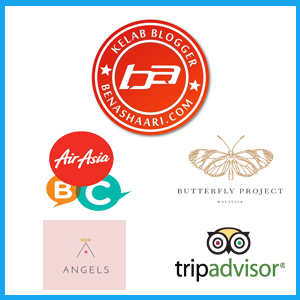 Thanks again for spare your precious time reading my blog today.